Gun Malfunction & Misfire Accidents: Do You Need An Attorney? Whether you target shoot, hunt for sport, or simply collect firearms, you are most likely familiar with gun laws, safety regulations, and personal firearm safety. You’ve probably taken classes on the subject, taught others in your family what you know, and taken great care when handling, cleaning, and firing your guns. However, accidents can happen even when you take all possible precautions. In these cases, a significant number of accidents are the fault of the gun or ammunition manufacture or the gun or ammo retailer. At Van Sant Law, we are committed to helping families that have been affected by gun malfunctions and gun misfires. Whether you have been injured by a defective firearm or whether a loved one has been killed in a defective gun accident, we are here to investigate your case, find out who was at fault, and sue the negligent party for compensation. We believe that taking on these gun accident cases saves lives and makes having firearms safer for everyone. At the law office of Van Sant Law, we have experience in handling all types of injuries caused from your gun malfunction or ammo defect – and we are very familiar with a number of different causes of firing malfunctions. If you have suffered an injury due to a malfunction of your handgun, rifle, shotgun, or ammunition, it is important to speak with someone who is knowledgeable about these types of claims. How Do Gun Malfunctions & Misfires Happen? A negligent gun owner who does not properly clean or maintain his or her firearms. A negligent gun manufacturer who produces faulty, defective, or misassembled firearms. A negligent ammo manufacturer that produces faulty or defective ammunition. A negligent gun or ammo retailer that knowingly sells defective guns or ammo. A negligent shooting range, hunting outfit, or other business that provides defective guns or ammo to customers. As experienced gun enthusiasts, we are familiar with all types of firearms and ammunition as well as with gun safety laws and regulations. With this extensive background on the proper functions of firearms and ammunition, we are capable of approaching your gun accident claim with a high level of skill and knowledge. When you or someone you care about has suffered an injury from a gun that has malfunctioned or misfired, it is hard to know where to turn. 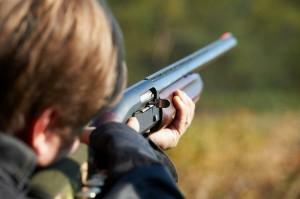 Contact us to schedule a free consultation with an experienced firearm accident attorney. We are happy to meet with you in our Alpharetta office, in your home, at the hospital, or at another location that is convenient for you. Take your first step toward justice today by calling (404) 991-5950 or filling out our contact form.